Welcome to HTHS Academic Team! Enter to learn more about quizbowl and see our results! High Technology High School is a 9-12 public high school located in Lincroft in central New Jersey. It is a STEM magnet school that draws from all around Monmouth County. High Tech's Academic Team values learning and understanding information from all fields of academic subjects. The club strives to engaging in an enjoyable playing experience while promoting positive study habits, work ethic, and teamwork skills. While the Academic Team has been around for over a decade, it has only begun transitioning into quizbowl since 2012. 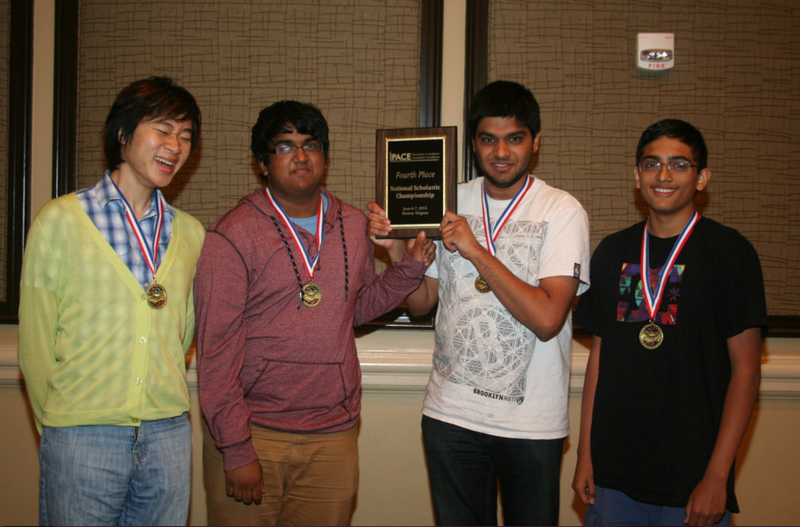 The team participates in various local and national competitions, including quizbowl and History Bowl. It also hosts a few annual tournaments as club fundraisers. High Tech's Academic Team practices once a week after school for two hours. More informal practices are also held during lunch. Summer scrimmages against local teams and additional practices are held online through Skype or G+ Hangouts. Follow us on Instagram (@hthsquizbowl) for tournament updates, pictures, dank memes, and more! Dr. Raymond Eng serves as the advisor for Academic Team. In addition to teaching Algebra II/Trig, Multivariable Calculus, and the PLTW course Engineering Design & Development, he has recently been honored with a Gold Star Financial Literacy Teacher award. Dr. Eng is also the Math Curriculum Coordinator for the Career Academics at the Monmouth County Vocational School District and serves on the Marlboro Township Board of Education. Dr. Eng has been with the HTHS Academic Team since its debut, and has sacrificed countless hours during lunch, school days, after school, and on the weekends to help the club. We would like to thank him for his dedication in helping the club thrive and expand through the years.